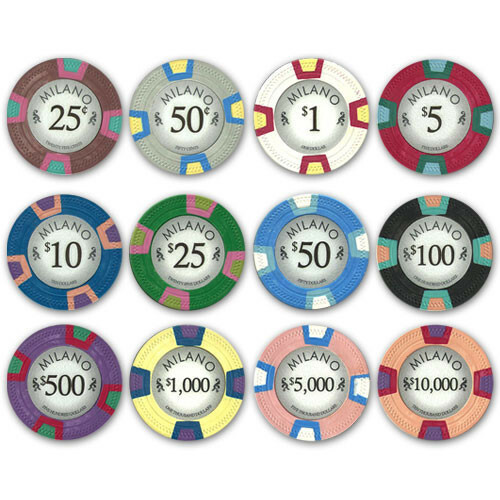 Get a set of chips you can be proud of! 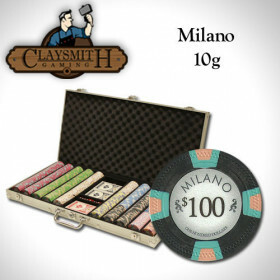 This casino grade poker chip set includes 300 Claysmith Milano poker chips, regarded by many as some of the finest poker chips available for home use. 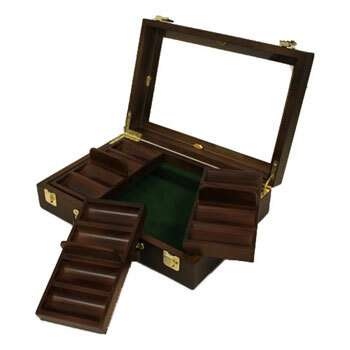 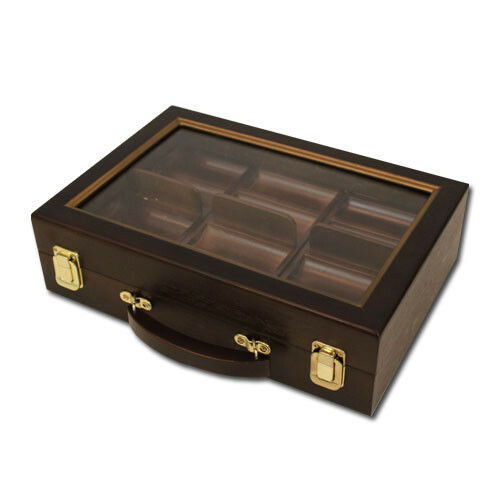 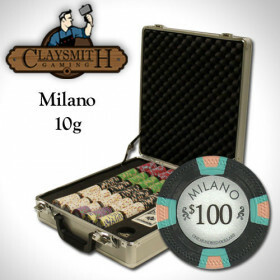 The set also includes a walnut storage case with removable chip trays that will keep your chips neat and organized. 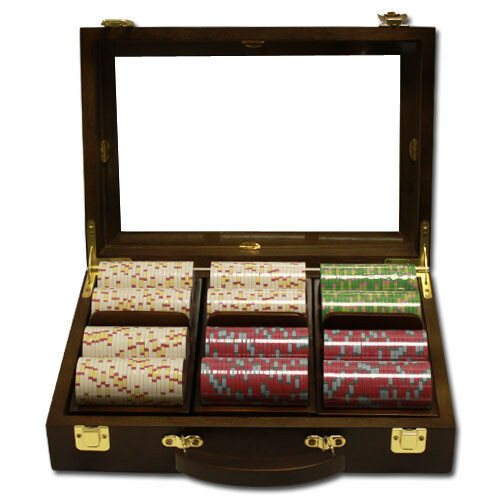 You'll be proud to keep this set on your table, and your friends will want to start up a game. 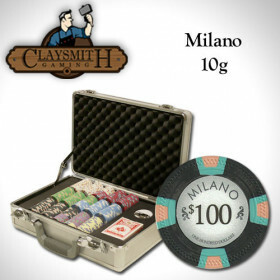 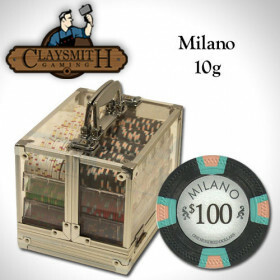 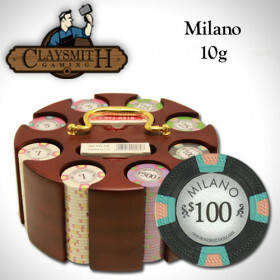 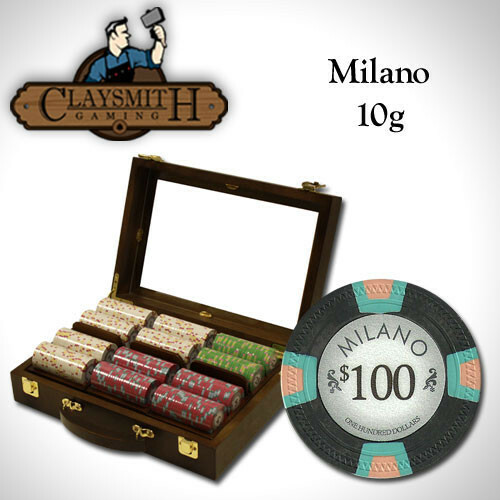 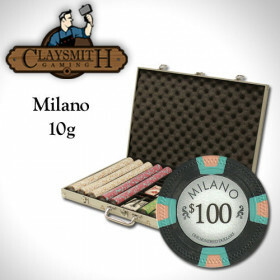 300 Claysmith Milano clay composite poker chips. 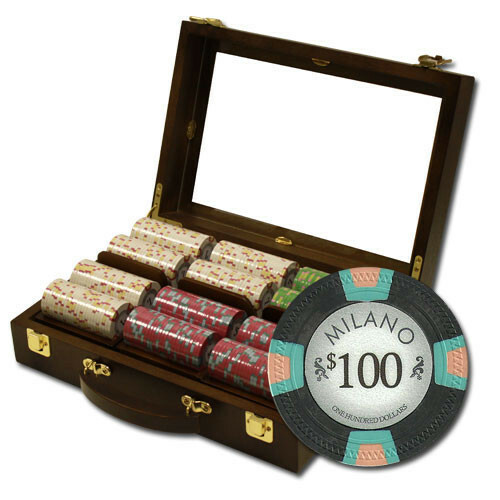 This set also comes with 2 decks of cards, 5 dice and a free dealer button to get you started.